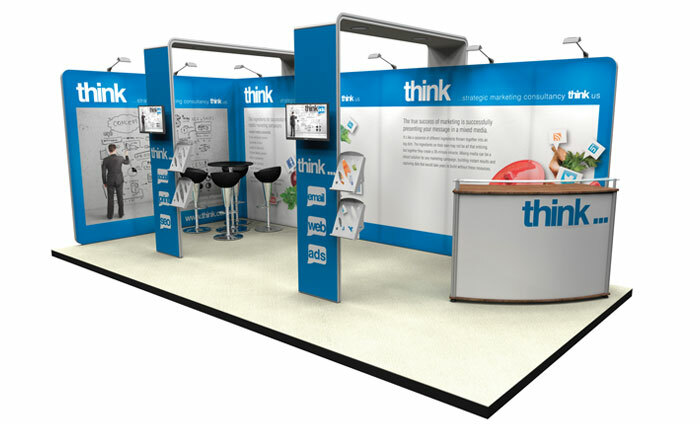 Unless you have an almost limitless budget, your exhibition stand should be reconfigurable, resizeable and infinitely reusable – ideally it should change and grow depending on your requirements. One of our modular systems will enable your stand to make an immediate impression and catch the attention of passers by whilst remaining easy to build and dismantle and be easy to reshape and rebuild as required. 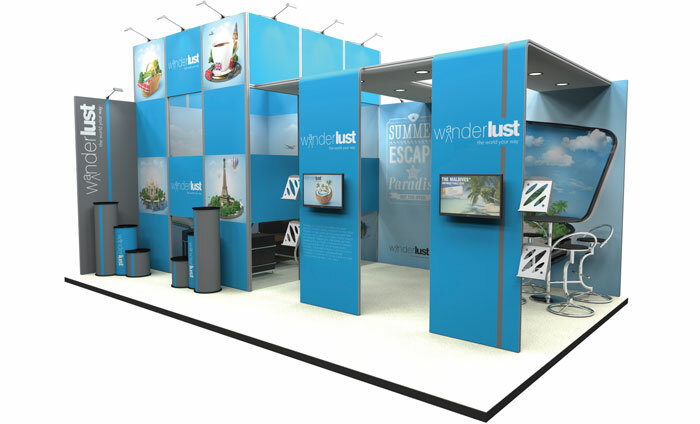 Modular exhibition stands can be on the grandest scale or simple in their design – either way they can be impressive yet cost effective. The beauty of our modular stand designs is that they are flexible, reconfigurable and most importantly reusable, meaning you have total freedom to re-create your existing stand to use time and time again without spending a fortune on it. Build a wide range stand styles using a choice of Linear/Vector, Vector Lite, T3 Modular display system, OCTalumina, Arena 4 Gantry, Panel and Pole, Formulate and portable display products. 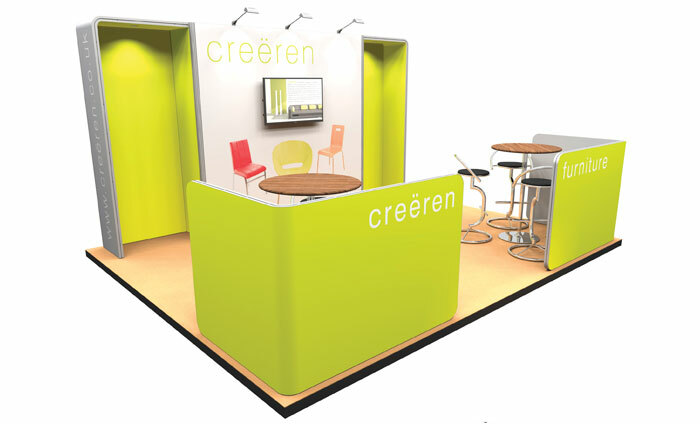 Modular exhibition stands are flexible and re-usable. Purchase your stand just once and when you need to use it again simply re-configure the design selecting only the components required, or add to it to fit your new space and together with fresh graphics your stand will look completely different at a fraction of the cost. 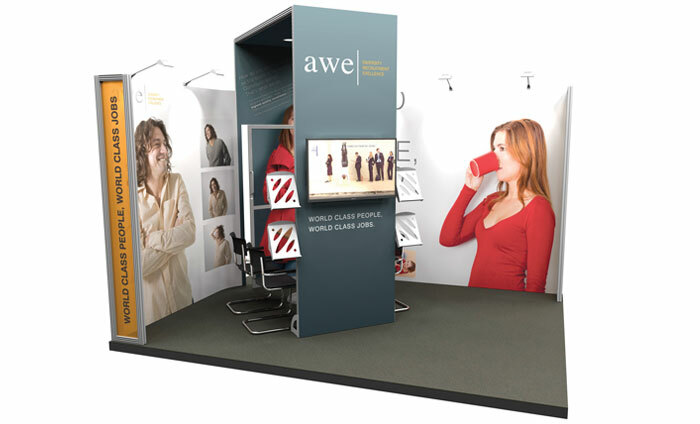 By making small tweaks and changes you can use your modular exhibition stand time and time again to fit the space available – one initial outlay, great return on investment. Please enter your email address for the latest deals and offers from cipher graphics. How do you fancy a Club Calendar? At Cipher Graphics we believe that it shouldn’t be difficult to market your business. This is why we have streamlined our services into three easy to understand categories, Exhibition, Print and Display. We realise that not all customers are the same. By taking the time to understand your individual requirements, we offer the kind of first class service that you would expect from one of the Midlands most pro-active digital printers.